This seems like an impossible task at first. There are many ways Christians have tried to pray without ceasing. One way is to set aside different times during the day for prayer. This creates a pattern of going between work and prayer until work and prayer flow seamlessly together. All of our life becomes prayer. These set times of prayer are known as the Daily Office. 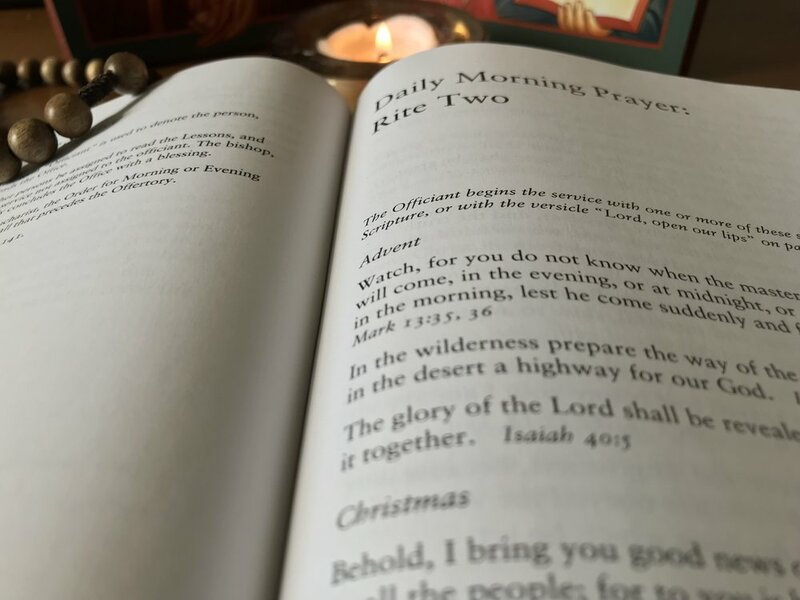 In our Prayer Book, there are currently four offices: Morning, Noon, Evening, and Compline. Praying the offices was once considered the job of clergy and monks. However, since the time of the Reformation, the Anglican tradition has encouraged all Christians—clergy, monks, and laity alike—to pray the offices. It is a great way to intentionally meet God throughout your day. While you can pray the offices by yourself, it is better to pray it with a community. Morning and Evening Prayer is prayed at St. Paul’s on weekdays. If you are not able to come in person, a great way to join is through the Facebook page Morning Prayer in GA. Morning Prayer is streamed live at 9 each morning, so you can join in as the prayers are being prayed (you can also join in praying at a later time if you are not able to at 9).